Mediation offers a private, cost effective process for the resolution of the many varied conflicts which arise in our everyday lives. Francis Lane has extensive, proven experience in helping individuals find solutions which best serve their interests, especially when it comes to issues that arise in Divorce and Family matters. 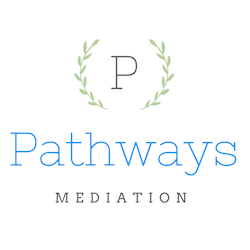 Mediation offers an opportunity in an informal, non-confrontational setting to explore and consider the best options to solve the many issues and conflicts which may arise when going through a divorce or separation. Resolving issues out of court can help save you time and money. Picking up the pieces and putting your life back together after the breakup of a marriage, or relationship, can be one of the most overwhelming and stressful crises which you will face in life, especially when children are involved. As many divorcing or separating couples will continue to be involved in some part of each other's lives, especially if there are children, it can be very beneficial to work together in an effort to settle the terms of the divorce or parenting issues. Mediation can minimize the trauma divorce and separation creates for both you and your children, and it can be a pathway to a better future for you and your family.